Location:	In eastern Hopkins County, 15 minutes outside of Sulphur Springs, Texas and 10 miles west of Mount Vernon, Texas. The ranch is an easy 1.5 hour drive east of Dallas down Interstate 30. Exit at FM 900 and go north 3.5 miles to the property on the right. The ranch has frontage on FM 900 along with County Road Frontage which dead ends into the overhead entrance. Terrain:	This ranch is very scenic and has the feel of being remote even though you are only a few minutes from the interstate. With rolling hills on the south side to creek bottoms lined with massive oaks on the north side, the property has a variety of uses which makes this an ideal combo ranch. The east pasture is approximately 245 acres and is high fenced. The west two pastures total 94 acres and are currently being used for cattle grazing and hay production. These two pastures are a mix of Bermuda open grass fields with oaks and a thick creek bottom. Water:	The property is extremely well watered with 7 total ponds which include a 6 acre clear water lake. The 2 largest ponds have been stocked with bass and bait fish and some of the smaller ponds and one creek also have bass and bluegill. There are also 4 separate creeks traversing through the property which also provides livestock and wildlife with a water source. Improvements:	The east 245 acres is high fenced with 8' game fencing. There are currently water and electric meters in place and a septic with RV hookups along with a 40 high cube shipping container with lighting and plugs on a gravel pad. The owner also has a nearly new 42 fifth wheel travel trailer in place which can be purchased separate from the ranch at the buyer's option. 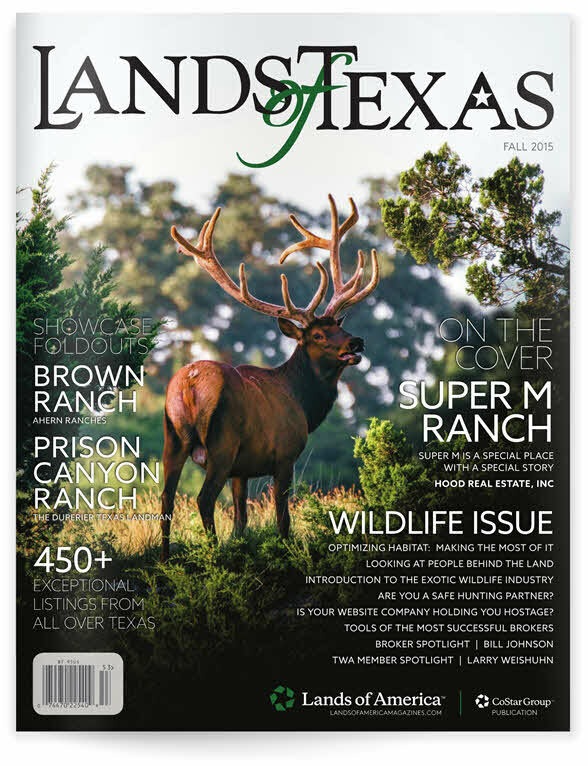 Wildlife:	The portion of the ranch that is game fenced has been stocked with whitetails from CC Bar Whitetails out of Texarkana which is home to the famed Payload buck (320" at one year old). These genetics produce 200 to 300 inch bucks and the pedigrees of the whitetail that have been stocked on the ranch can be provided to the buyer. There are also whitetail deer and hogs on the low fence portion of the ranch for additional hunting opportunities. Remarks:	Owner of the property is a licensed Texas real estate broker. From Dallas East on I30 to FM 900. North on FM 900 through Saltillo to property on right.